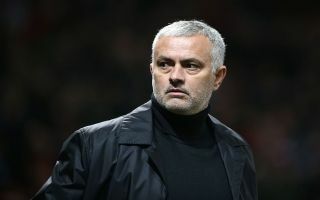 Jose Mourinho has insisted that a leaked scouting report from his time at Chelsea wasn’t written by him as they prepared to face Barcelona in 2006. As seen in the tweet below, a fascinating and highly detailed report was leaked on Twitter last week, seemingly showing how Chelsea prepared to face Barcelona in the last 16 of the Champions League in 2006. It was suggested that Mourinho along with Andre Villas Boas put together the report, which gave specific detail on how to nullify Barcelona’s threat as well as how to expose the weaknesses of their key players. Ultimately, with thousands of retweets and likes, the tweet went viral as Mourinho began to get plenty of praise for the tactical brilliance that he appeared to be showing in his report. However, he has come out and denied such suggestions that he was the one responsible for producing it. “I am sorry to disappoint those I think I wrote the reports, but I did not,” he is quoted as saying by The Sun. “The reports are not mine. I did not write them. It’s added in the Sun’s report that a source close to Mourinho added that he was “angry” over the false claims that he wrote the report, and he certainly wasn’t prepared to reveal who he believes actually put it together. In turn, it remains a mystery as to whether or not it even came from within the Chelsea camp at this stage, with Mourinho not even willing to take credit for it. Time will tell if clarification on its author arrives.